Backbone! Virtualization! Big Data! Sound like a foreign language? It does not have to stay this way! Are you new to the tech sector and want someone to decode the jargon? Do you want to know what it’s like to work in the world’s leading tech company, where every day is an opportunity to innovate? Now you can discover the inner thoughts of our most precious resource: our “Rakutenians”! Here in our blog we ask the questions that matter to members of our European tech teams who provide their insights into all the areas you want to know more about, and even what they really think about working here. Thus, we’re going to discover what it means to be a Network Engineer within the Europe Technology Division (EUTD) of Rakuten Group! So exciting! What can you tell about being a EUTD Network Engineer? The Network Engineer´s job is to manage daily alerts, to monitor different checks, and to troubleshoot machines when necessary. Also, we prepare and set up files for newcomers- from European Operations and Development departments – to facilitate the handover and to ensure their full integration. We are trying to handover back from JP and India team as much as possible, which was once managed by UK team. In addition to that, working within the Europe Technology Division (EUTD) at Rakuten offers to a Network Engineer like me, the opportunity to answer a wide and rich range of various requests to provide technical support to Europe-based Rakutenians. Thus, we often get requests related to network from developers located among the different Rakuten EU Business Units. As an example among many others, we use our technical expertise to set up ACL, routing, etc. In addition to that, we are in charge of the validation for new Infrastructure. nfrastructure means any system resources like server, network, storage and so on which the developer or the business side (Staff) respectively need to deploy their new application or to access in order to work efficiently. According to you, what’s exciting about your job? The IT technology is changing and evolving every moment. We try to catch up this and to involve the latest technologies into our Infrastructure as much as possible. The constant research of increasing and improving our customer satisfaction is a very challenging and fascinating part of the job as well as troubleshooting and fixing the issues ASAP to ensure the continuity of our highly performant services. We are never bored and constantly learning new skills! What are the perks of working in a global electronic commerce and Internet Company such as Rakuten Group in terms of job opportunities and projects to work on? Working at Rakuten, an Innovation focused company, is an undeniable advantage for a Network Engineer as it offers a wide range of enriching and challenging experiences allowing whether to develop and strengthen existing skills, or, to acquire new skills. 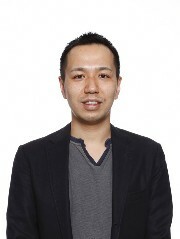 Working at Rakuten, in EUTD specifically, is even more exciting as we are the unique division in charge of maintaining, through an efficient way, our Global Network Backbone timely and effective. This latter is called more commonly « RBN », standing for Rakuten Backbone Network. Thus, all over the world our « RBN » is ensuring efficient synergies happen. Worldwide based Rakutenians can connect with each other for their application program, data or any other system resources) with secure and stable access. It is a daily challenge for us to manage our RBN as we are going the extra-mile to « always improve, always advance » (one of our Principlecs for Success) in an ever-changing environment that requests to plan more capacity – because the network is getting bigger- and to maintain and tend to improve the efficiency of the Network by tackling all sorts of challenges. Above all, among those challenges, we try to get more automation for monitor and operation, but also to remain on a user-oriented structure. According to you, what’s most challenging? What kind of training and skills do you need to become EUTD Network Engineer? According to me, owning a technical diploma or a bachelor in IT engineering would be fundamental to acquire Network knowledge and technical skills necessary and inherent to the Network Engineer job. In addition to that, it allows to gain experience in order to acquire and implement skills learnt during the studies years. As indicated previously, our global network is getting bigger and more important for all Rakuten Group’s application. With the numerous changes in the society in general, with GDPR for example, a lot of applications (API) are increasingly connected to each other through our Infrastructure ; it is the case with API such as Global ID, Super Points and Big Data. Our Infrastructure includes the global network backbone which requires more security and stability to ensure for all Rakutenians. Also, inside the Datacenter, there will be important needs of more « software defined network » (SDN), and we will need more DevOPS skills (DevOps is the union of people, process, and products to enable continuous delivery of value to our end users). What makes a EUTD Network Engineer laugh? A EUTD Network Engineer has to work with teams in Japan and USA so all technical division´ teams work altogether all over the world which is a fantastic aspect of the job! Because of time zone differences, it can be complicated sometimes to sleep during the corresponding hours in my time zone which I find quite fun! If you’re passionate about the tech sector, be sure to check out our last articles where we decoded the following jobs : iOS developer, Creative Technologist, Back End Developer, Front End Developer, UI / Graphic Designer, Product Owner and Digital Publishing / Graphic Designer. 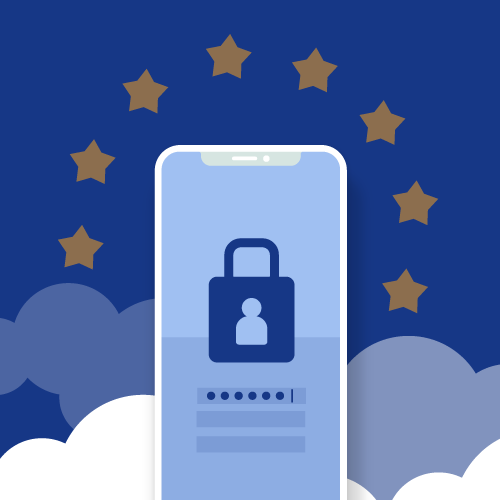 GDPR: how to make sure your app is compliant?